It sure looks like Dr. Mike is officially off duty. 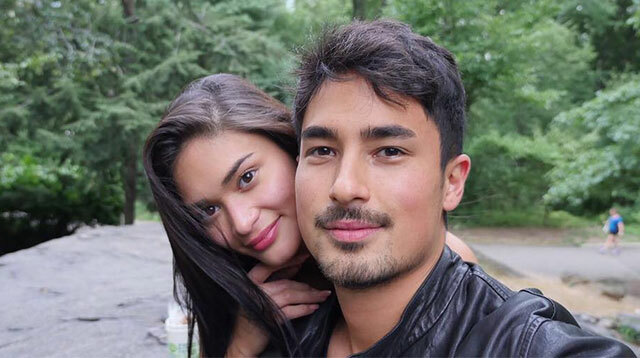 Miss Universe 2015 Pia Wurtzbach just posted a sweet a pic with Fil-Swiss racecar hottie Marlon Stockinger. Hmm… how random. To answer this, we had to probe. So, the last public sighting of Pia and Dr. Mike was back in April when they went on a helicopter ride around NYC. After that, any traces of the two on social media went ice cold. And as for Marlon, he was in the Big Apple, where Pia is based, just a couple of weeks ago. Perhaps he met up with Pia? As of now, everything’s still up in the air. But one thing’s for sure: these two look damn good together.